First let me say - I apologize for my tardiness in posting. I set a very loose goal of a post per week when I started this blog. And I know that my legions of fans are disappointed in my lack of motivation to write lately. Hopefully, I will rectify this tendency to be a complete slacker, but I am not making any promises. Keeping up with my new exercise program (16 weeks and counting), the constant monitoring of the end of the world as we know it and the new season of Breaking Bad, I have just been really busy!!! Now, on to Castello Di Tornano. managed to avoid the commercialization and wanton development so prevalent in other tourist laden areas of Europe. This is amazing, given the recent media coverage of this romantic part of Central Italy. Come on, admit it, you know you would love to buy a house in Tuscany just like Diane Lane did in "Under The Tuscan Sun" and enjoy the uniqueness and eccentricities of one of the truly great cultures of the world. For me, visiting Italy and particularly Tuscany, was a life changing experience. In fact, I think I could say it was profound on multiple levels. 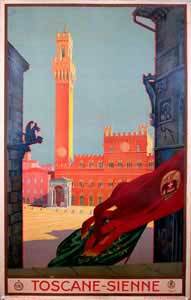 Going to Italy was our first trip abroad and it didn't occur until I was almost fifty. Fifty!! That's a subject for another day and another post. For my wife and myself, this was going to be a big deal. We started planning our trip a year before we left. We read every Rick Steves book. We bought every relevant publication we could find. Our laptop favorites became a localized version of the Library of Congress Card Catalog for Italy. And we listened to our Italian language CD and practiced our new found love for the Italian culture daily. And even though no one thought we were local, I do think they appreciated our willingness to understand their language, which is, after all, the door to any culture. A word here about the Ugly American Syndrome. If you refuse to learn their language, if you demand an American style hotel and if you act as though their world revolves around yours, you will be branded with that most uncomplimentary title and you will be just another American tourist. Just don't do it!!! Rick Steves gives great advice when he tells us to live like a local. Don't misunderstand. Europeans, particularly Italians, love Americans. It's a behavioral attitude thing. If you make every attempt to follow Mr. Steves' advice, you will not just be a traveler in a strange land. You will absorb everything that makes that culture unique and wonderful. In Italy, we became one with everything we encountered. It's like Beethoven's Fifth Symphony or McCartney's Yesterday - It is more than just the music, the sounds, the food or even the people. It becomes part of your mind, body and soul. So what does all of this have to do with my assertion that visiting Italy was an epiphany? If you truly try to "fit in" and relish every unique, quirky and "un-American" aspect of a country, you will take something important from your visit that will always stay with you. Italy and its people have a passion for their culture, their food and their way of life that is unmatched anywhere in the world. Any culture that has given us real pizza and opera must be appreciated at every level. Any Nomad worth his/her salt is desirous to get as close to and absorb as much of the reality of Italy as possible. To be a true Nomad you must go where tourists do not go and experience the people, local customs and unique culture of a country. Italy has it all - great food, great wine, world class museums, architectural antiquities, great small hotels and wonderful people. 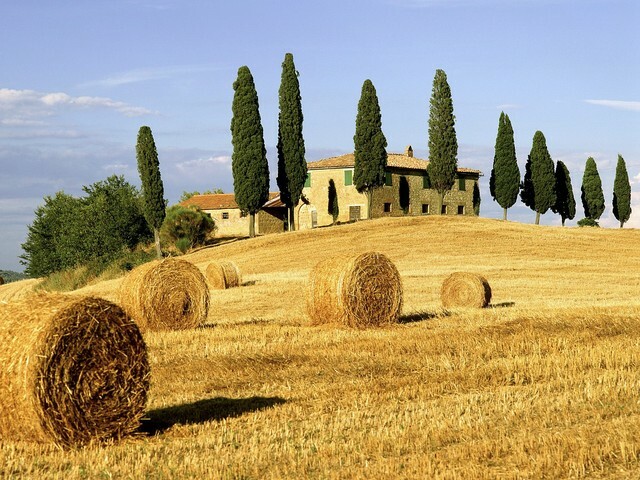 But the hidden corners of Tuscany provide a richness and joy of life that must be experienced firsthand to be appreciated. After spending the night in an elegant B&B located in the ancient hill town of Montepulciano that has been in the same family for seven hundred years, we drove with great anticipation to our central Tuscany destination, Castello di Tornano, a small boutique hotel designed within the original walls of a medieval castle tower originally built in the tenth century. We arrived about three in the afternoon ,very hungry, as we could not locate a place to eat in the hills of Tuscany on a Sunday afternoon. This turned out to be very advantageous for us. The hotel manager, Massimo, met us upon arrival, and whisked us three flights up to our room to ensure that it was acceptable to us. With a bed right out of an Italianate palace, a bathroom fit for a duke or duchess and views of the Tuscany countryside through three foot thick stone walls, I assured Massimo that the room would indeed do. Without so much as a moment's hesitation, Massimo dispatched his young assistant to fetch our luggage and quickly transport it to our room. So far pretty good, right? Well, it gets better. I asked Massimo if we might get some snacks or something to eat, as we had not eaten since that morning. After being ushered to a small table on the terrace overlooking the hills of Tuscany, Massimo and his assistant sprang into action. After being seated, a small umbrella was unfurled over our heads and plates of food began to appear, along with a bottle of their own estate wine. Bruschetta, prosciutto, risotto, cheeses,vegetables and Italian bread was laid before us as though we were the only people in their little kingdom. On this lazy spring Sunday afternoon, with the woman that I fell in love with even before I met her, this fabulous impromptu Italian meal was eaten with intense delight, overlooking one of the most romantic places on earth. We were suspended between heaven and earth. Actors on the set of the perfect drama. 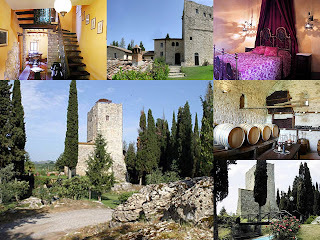 Since Castello di Tornano is well off the beaten path, all of our meals were included as part of our stay. And just like the Sunday afternoon feast, the other meals did not disappoint. Everything was local, simply prepared and served with a smile. As we prepared to leave for the next leg of our Tuscan holiday, we knew that we had been immersed in the very essence of all that is Italian. Heading south to Umbria, there simply was no doubt that we had experienced a special place of elegance and beauty that any Nomad would be proud to call home, even if only for a short while. You cannot even think about Italy without the the sound and the passion of great singing. This week's video artist is the greatest operatic tenor of his generation - Luciano Pavarotti. And as a bonus - you get a duet performance with fellow Italian Andrea Bocelli and - You won't believe it - the hardest working man in show business, the incomparable Father of Funk, Jame Brown. After a full day of discovery from Edinburgh to The Natural Retreats in Yorkshire Dales with stops to look for Hadrian's Wall (Never Found It), exploring Kielder Forest and Water Park (A must see that I will post about another time) and getting lost and almost running out of gas, we arrived in the pastoral Yorkshire Dales, only four hours north of London. 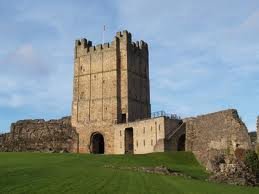 Upon arriving at the stone entrance to Natural Retreats, discovered while searching the internet for places a discriminating Nomad might find interesting, I was filled with great anticipation. This was the one place that we would stay that placed design front and center in the creation of this unique property. Remember Watership Down, the fantasy about the world of Fiver and his fellow rabbits by British writer Richard Adams? As we drove down the gravel lane to our cabin, I thought I was invading the warrens of the fabled North Hampshire Hill. Rabbits were everywhere!! This was the first indication that we had arrived at a place that is completely off the well worn path of the typical tourist. 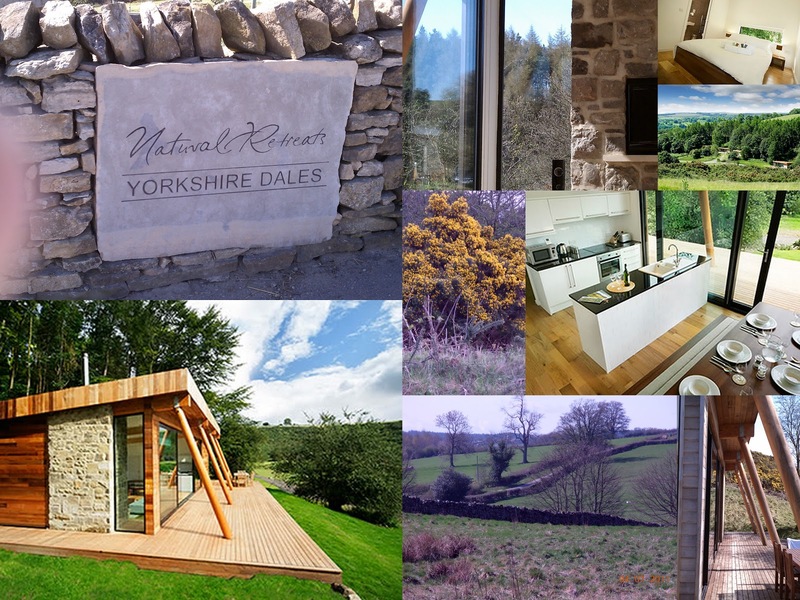 Located in Yorkshire Dales National Park, Natural Retreats is surrounded by rolling hills and valleys, rivers and forests and diverse wildlife - pheasant, geese, birds of every color and the aforementioned rabbits. And it's less than a mile from the very cool little market town of Richmond with great restaurants and an organic grocer. A must if you stay here, as the cabins are self catering. I have previously posted about how helpful the online concierge was when I was making the reservation. Well, the high level of service is seamless, once you arrive on site. Like most rural properties, there is no normal check-in process as in a hotel. We knew we were in Cabin No. 15, but that was about it. With excellent signage to guide us, we found our cabin quickly and the on site manager showed up as soon as we arrived. He assisted us with our luggage and explained all the various activities that were available to us at Natural Retreats, as well as where to eat in town and where to purchase groceries. We actually needed very little to supplement the welcome basket and stocked refrigerator complete with organic milk, local cheese, bread, eggs, a great local wine and homemade brownies to die for. He left his cell phone number in case we needed anything. Great service is always a hallmark of a great place for a Nomad to sleep. One piece of advice that Rick Steves gives in his books is the need to have a "down day" and do absolutely nothing. Natural Retreats is the perfect place to do just that. First - the landscape is perfect for simply sitting and watching nature in all its beauty. Second, the cabins are a creative combination of minimalism and sustainable eco-design. With simple white walls, bamboo floors and a forty foot long sliding glass wall between the Living Area and a Monster Deck, it is the perfect place to read or just sit and enjoy. In addition, the roof is "green" with grasses and plant cover. Built with large round wood columns for support, the design is simple and elegant. And it's large enough so that every one gets there own space. I would highly recommend this place for families or couples as it has three identical "suites" with their own bathroom. And if you don't want to just sit and enjoy the view, you can walk along the many trails and it is a nature photographer's dream. A word here about the concept behind these unique properties. 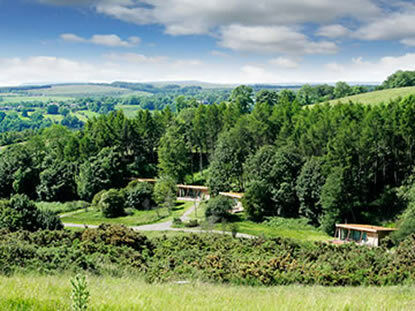 On their well designed and easy to use website, Natural Retreats invites you to "Discover the Luxury of Nature". Based on our experience at Yorkshire Dales, this is not just a marketing slogan. The concept of placing luxurious accommodations in the midst of beautiful natural environments is not new. What is new is the idea of placing utterly modern design in such locations. These are not log cabins or glamping. These places have all the comforts of a five star hotel. High thread count sheets on soft, comfortable beds, rain showers, killer stereo systems and modern kitchens with all the utensils and cookware you need to be Giada, Nigella or Paula. They have recently added a property in the states on the Snake River in Idaho, which I have placed on my list of Must Sleep Places for Nomads. In this world of over selling and hyper-hyping, it is refreshing to experience something that exceeds all expectations. 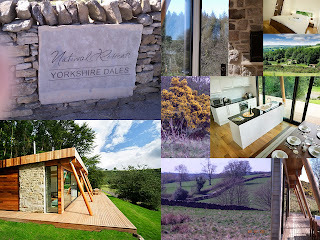 Natural Retreats at Yorkshire Dales meets all the criteria to place it on The Nomad Architect's Places to Sleep Before You Die. So - if you ever travel across the pond - check out this very cool set of eco-cabins only four hours north of London - The Natural Retreats in The Yorkshire Dales National Park. You'll thank me for it. A True Jazz Legend - one of the true greats in the world of jazz piano, performance and composition - the intense and incomparable Chick Corea. There's nothing like the small, tedious trials, personal setbacks, screw ups and generally stupid things we do that make us wish for that special place. I am setting this up as a good excuse, lame though it may be, for not posting about something relevant to the Nomad's quest for nirvana. Sorry, it's my blog and I'll cry if I want to. Among other things, I spilled an entire glass of very good cab (2008 Lodi 337 - Cheap but excellent) in the bedroom all over my wife's novel she is currently reading, the nightstand, the floor, the wall, the door and a ceramic planter . I spilled an entire carafe of French Press Coffee all over the kitchen counter and floor, and I spilled a cup of cream and sugar that I had already put in my wife's tea cup - very strange indeed. I know it all sounds completely stupid, but those little things - that last glass of great wine, the perfect cup of coffee in the morning, putting your condiments in the right cup and, in general, "being good to yourself" make life civil and complete. Boy, do I sound like a wimp. Oh yes, did I mention that I burned the brownies, for our visit to Georgia, that my wife reluctantly left me in charge of while she picked up some home made cakes for the weekend? I even used a timer and I still burned them! So when she returned and had to toss about half the batch because they had the consistency of asphalt - I proclaimed - "OK, you can say it - I am an incompetent idiot". And do you know what she said? She said mockingly - "OK, you are an incompetent idiot". She is Woman - Hear Her Roar!!! All of this brings me to a point that is critical to our sense of well being and mental health. Vacations. Specifically, family vacations. I was born and raised in the the very southern North Florida town of Tallahassee, Florida. We call it God's country. 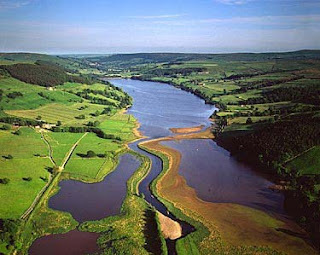 Rolling hills, beautiful lakes and rivers, salt of the earth people and the most massive, beautiful oak trees on earth. Well, to commemorate the birth of the greatest country on earth, we are heading up to another official section of God's country - the shores of Lake Blackshear in Warwick, Georgia. The joy of cross generational reunions always makes me realize that I am never far from somebody who loves me, even if they think I am a little strange. And I absolutely know that I am going to spend the majority of my time eating and laughing. With the occasional miss, we have been going to this great place every Fourth of July since McEnroe beat Borg at Wimbledon . The main house sits on a beautiful tree studded peninsula overlooking the lake. With its classic modern lines, its real brick floors and elegant glass lined spaces, it's a great place to enjoy people who really matter to you. And as an architect, I can say without hesitation - They just don't build houses like that anymore. In this beautiful place, any Nomad would be happy just to sit, enjoy the company and take in the view. But, the main event is - THE FOOD!! The great southern author and poet, James Dickey said that the deep south was the only region of the United States that had it's own cookery. Real southern cooking cannot be taught in a class. It can only be learned by trial and error in a kitchen run mostly by women who don't measure anything and create some of the most incredible food you will ever eat. And this family has some of the best cooks to ever wear an apron. Although, I must give a shout out to one of the best cooks I know - my brother-in-law Danny. What that man can do with a smoker, some wood and a turkey or pork roast is otherworldly!!! Great southern cooking is a unique blend of unknown science, art and magic. Fresh, home grown tomatoes, corn on the cob, squash casserole, collards, butter beans, smoked ham, pan fried chicken, local barbeque, corn/cracklin' bread, desserts to die for and sweet ice tea that you can only get in the south. Well, you get the point - Gettin' hungry aren't you? Finally, I must mention the coo de grace of my week of tedious and stupid things. Hopefully, this will tip the scales for sympathy and convince you that I - We - need some time away. This morning, the chain came off my brand new bicycle and bent the gear shifter beyond repair rendering it impossible to ride. I bought the thing to get rid of the calories that I intend to eat this weekend. So, after a tedious week of misfires and miscues I am ready to hit the road. And in that regard, it is my fervent hope that you and yours will gather together and remember that we are members of a unique community. 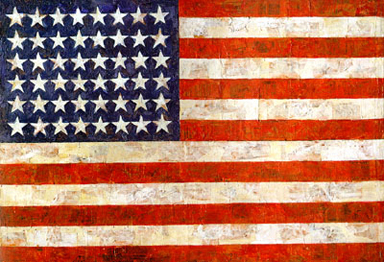 As families and Americans, we celebrate the most creative force for humanity ever - inspired by God and created by men and women of vision - These United States - Happy Independence Day!!! Video Artist of The Week - One of the greatest of the southern rockers - He plays the piano like a man possessed - THE KILLER - Jerry Lee Lewis!! !